in chillers used for chocolate): guarantees that perfume, taste and softness of products that are blast chilled are perfectly conserved over time. 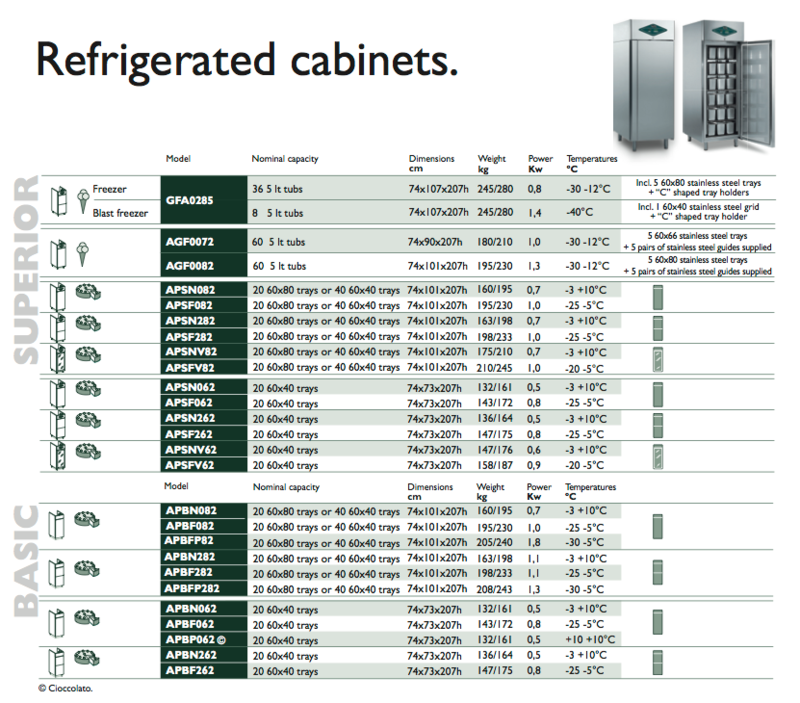 The Hiber 1060 Line range of refrigerators are superior to anything on the market because of their superior design and material & manufacturing process. 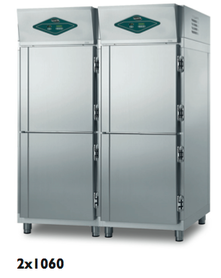 The 1060 line aids the conservation of all your confectionary, bakery & gelato / ice-cream products. The 1060 comes in a large range of capacities depending on your needs. 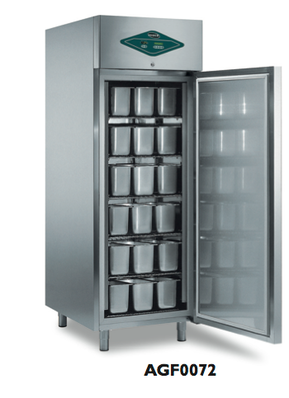 Thanks to the powerful chilling capacity Hiber chillers are ideal for maintaining ice-cream in its perfect state. 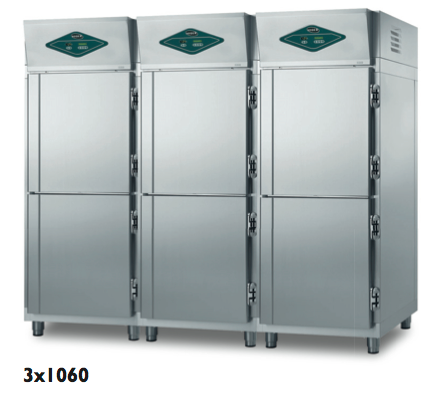 Available in the SUPERIOR range, they have a large storage cell, 98 5 litres of ice-cream tubs or 60 8 litres ice-cream tubs, with compensation valve, mono bloc unit, and an automatic hot gas defrosting device with water dissipation of condensate without the need for electric energy. Supplied with ergonomic full-door handles that are manufactured with support grids and/or shelves and uprights in stainless steel. 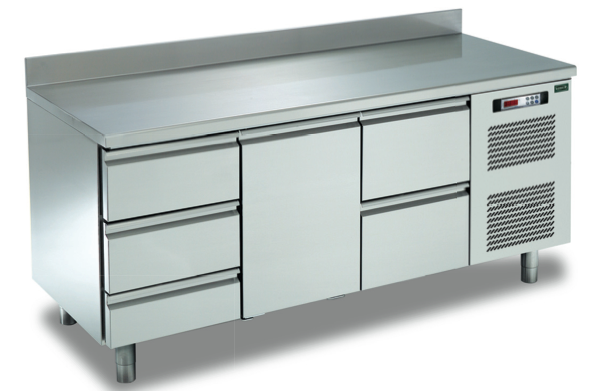 Thanks to the powerful chilling capacity Hiber refrigerated cabinets are ideal for maintaining ice-cream in its ideal state. 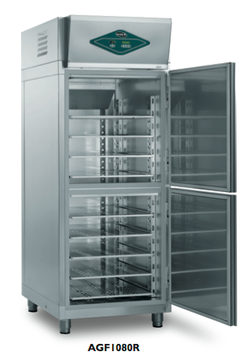 Available in the SUPERIOR range, they are equipped with a large storage capacity cold store thanks to the monobloc group and designed with rounded corners and an automatic electronic defrosting system. Supplied with ergonomic full-door handles, they are manufactured entirely out of stainless steel, with grill supports and uprights in chrome-plated steel. 230V 50Hz single-phase power supply.